Four years ago I did a few Olympic themed illustrations. This year I don’t have time to do more, although I love the winter Olympics! (I am watching just no time for new illustrations). 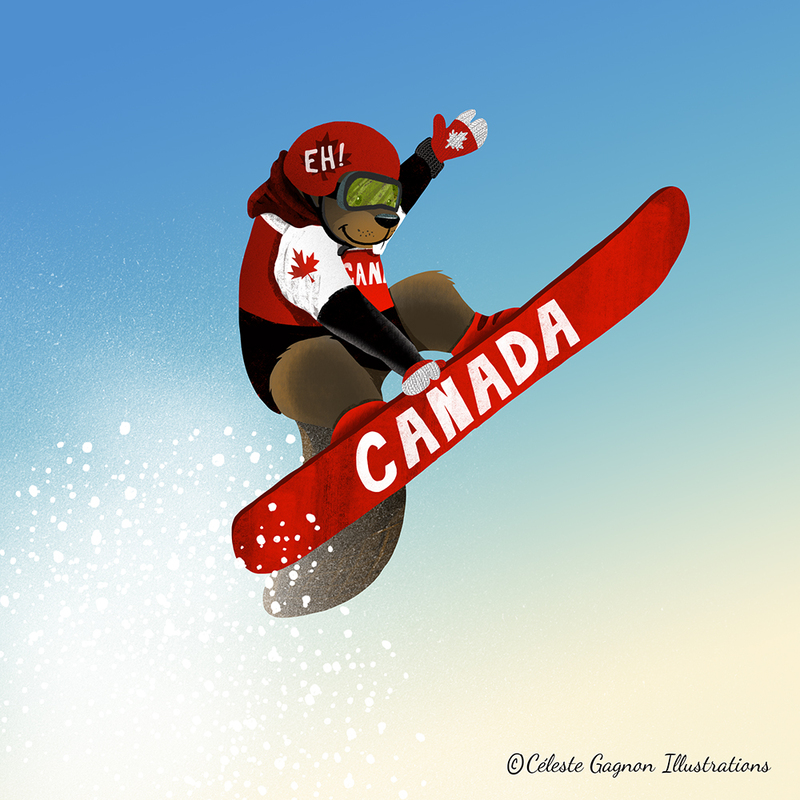 So today I am bringing back some oldies of our Team Canada Critters. Even though they were done 4 years ago I still like them! That’s not always the case with older illustrations! Enjoy!